He was wearing bowties before they were cool. 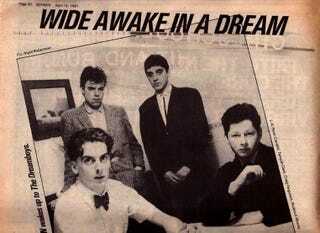 That cutie in the front is a 23-year-old Twelfth Doctor in his punk (postpunk?) band. The guy in the back is the Other Scottish Guy You've Heard Of Who's Not Sean Connery.